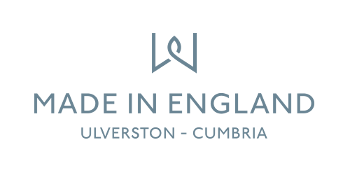 These wax melts are made in Cumbria, England. 01. Place a section of the wax melt in the top of the burner. 02. Place an unscented tealight in the lower section and light it. 03. Allow the scent to spread around your room. An ideal scent for summer, the new Made in England Lemon Verbena melts lift the mood of any room with a range of rich zesty accords. A vibrant sparkling top note of lemon verbena sits on lively middle and base notes of fresh cut lemons and zesty limes. The perfect scent to awake the senses! Pack size: 6 melt blocks. Contains: 2,6-Octadienal, 3,7-dimethyl-, acid-isomerized, Eucalyptol. May produce an allergic reaction. https://www.wax-lyrical.com/made-in-england-lemon-verbena-wax-melts 8977 Lemon Verbena Wax Melts https://www.wax-lyrical.com/media/catalog/product/w/l/wle1514.jpg 5.99 5.99 GBP InStock /Our Collections/Made in England /Fragrances/Fruity /Colour/Yellow /Occasions/Spring /Occasions/Summer /Candles /Home Fragrance/Wax Melts These wax melts are made in Cumbria, England. GBP https://www.wax-lyrical.com/media/catalog/product/w/l/wle1514.jpg add-to-cart Made in England Wax Melts Lemon Verbena Citrus Yellow Contains: 2,6-Octadienal, 3,7-dimethyl-, acid-isomerized, Eucalyptol. May produce an allergic reaction.